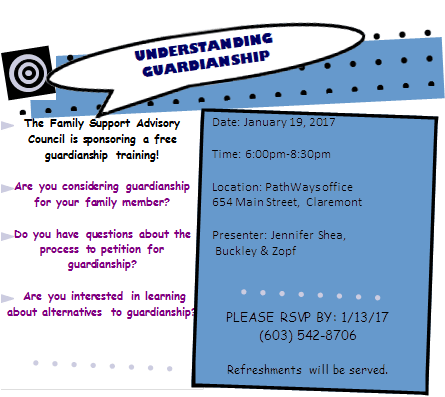 The Family Support Advisory Council is sponsoring a free guardianship training. -Are you considering guardianship for your family member? -Do you have questions about the process to petition for guardianship? -Are you interested in learning about alternatives to guardianship?